I have designed this christening shawl uk format as an accessory to my FREE Christening Outfit on my sister site justcrochet it’s made in double knitting yarn on a large hook, so is quite quick to make. Can you just Imagine your little one dressed in a white outfit you have made and wrapped with this matching shawl, it can also be passed through the family or used as an heirloom. tr2tog. Leaving last loop of each tr on hook, work 2tr into same space or stitch, yrh and draw through all loops. Made in multiples of 2 stitches. Next Row – (RS) 3ch, * tr2tog (see abbrev) into next 1ch space, 1ch, miss 1dc, * rpt from * to * to last 1ch space and dc, tr2tog into 1ch space, 1tr into last dc. Turn. Pattern Row 1 – 1ch, 1dc into base of 1ch, * make 1ch, miss tr2tog, 1dc into next 1ch space, * rpt from * to * to end, working last dc into top of 3ch. Turn. Pattern Row 2 – 3ch, * tr2tog into next 1ch space, 1ch, miss 1dc, * rpt from * to * to last 1ch space and dc, tr2tog into 1ch space, 1tr into last dc. Turn. Rpt Pattern Rows 1 & 2 until 41, tr2tog rows have been worked. Turn. Work Pattern Row 1 once. Turn. Shawl Edge – 1ch, 1htr into base of 1ch, 1htr in each to each 1ch space and dc to last dc, 3htr into dc, work 122dc evenly into row ends down first side of blanket, 3dc into corner, 1dc in each ch along cast on edge, 3dc into corner, work 122dc evenly into row ends up second side of shawl, 1dc into corner, ss to first dc on beginning of row. Turn. Next Row – Working into back loop of stitch only, make 1ch, 1htr into base of 1ch, work 1htr into each htr around 4 sides of shawl, working 3htr into corners and slip stitching to first htr on the end of each row. Turn. Rpt the last row three more times. Work one row of crab stitch (see abbrev) around shawl to end, ss to beginning of row. Fasten off. 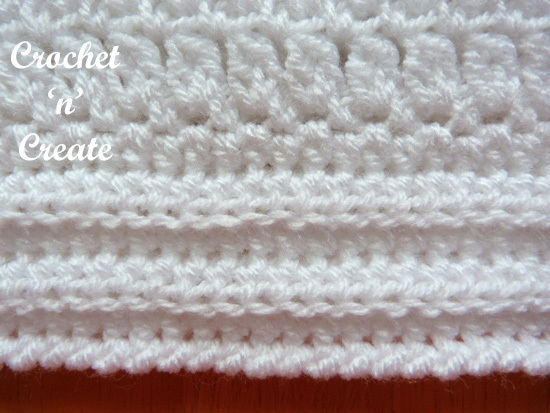 Hope you enjoy this free crochet pattern for a christening shawl uk format, I will speak to you soon with another free crochet pattern. The written instructions and the pictures for this christening shawl uk format pattern are copyrighted to crochet ‘n’ create © 2017. 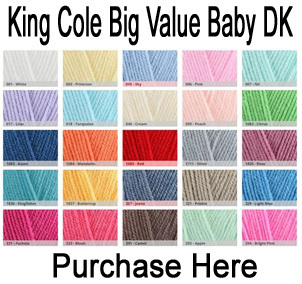 You are welcome to sell the finished products made from the free crochet christening shawl uk format pattern, I just ask that you use your own pictures and put a link back to crochet ‘n’ create. 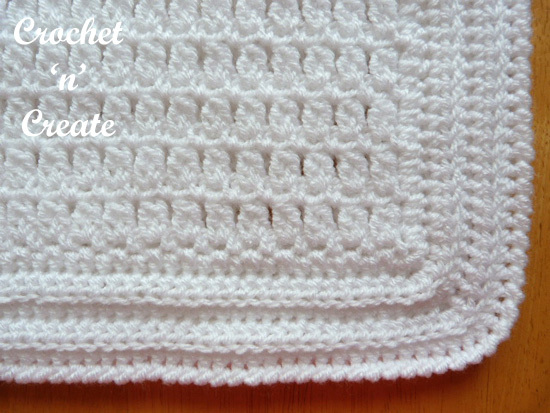 If you wish to share this crochet christening shawl uk format pattern on social media or your blog please only use a direct link to the pattern page on crochet ‘n’ create. 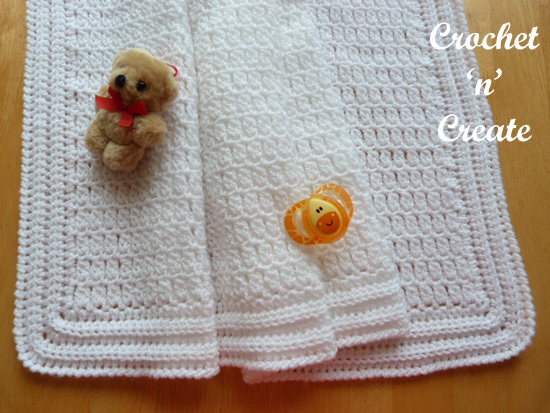 This entry was posted in Baby crochet pattern, crochet blanket, Free Crochet Pattern Finds and tagged crochet, crochet blanket, Crochet Shawl, free baby crochet pattern on 12th September 2017 by crochetncreate.